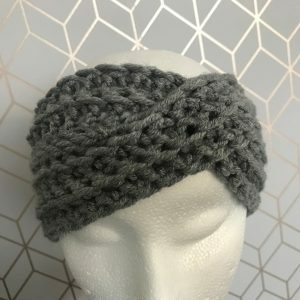 This headband is super soft & has lots of stretch for comfort! 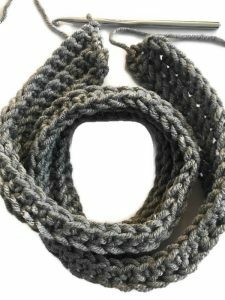 (quick, easy, one piece) – great holiday gift & last-minute craft show stock up idea. 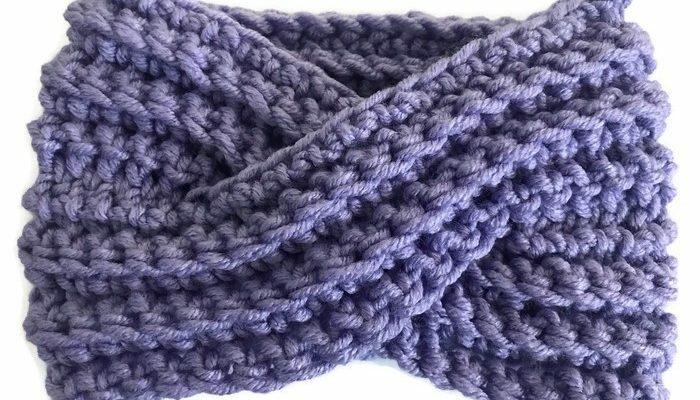 *pattern outlines two headband widths you can choose depending on your preference for fit. I like to make ages 5-10 in the thinner width and the teen/adult a little wider. 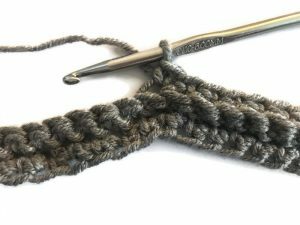 Beginner /easy – with some crochet experience required. 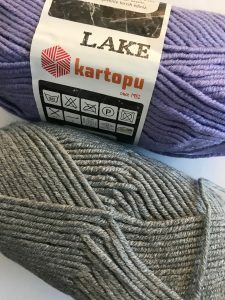 Kartopu – lake – 100% acrylic yarn (a 100g skein will make minimum 2-3 headbands) we made one in purple and one in grey. 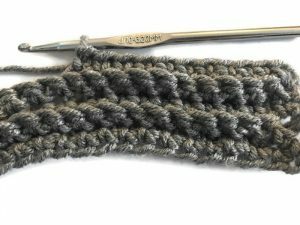 For children/ages 5-10yrs: 5 rows is usually a good fit, once assembled it doubles this width. & the “=” shape in the back. Ch1 after last sl st worked. 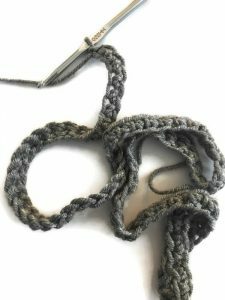 Pull a long tail through loop on hook for stitching (roughly 60”/ or long arms length). Cut end. Pull tight. 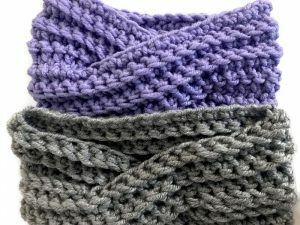 Turn seam inside out. Sl st (18 sts – for kids /16 sts – for adult) acr. At end, ch1 & cut end leaving small tail for weaving in. Pull end tight to secure. 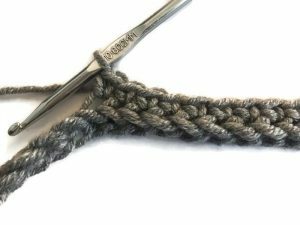 (if you do your sl sts too tightly the circumference of the headband may fit too snug). 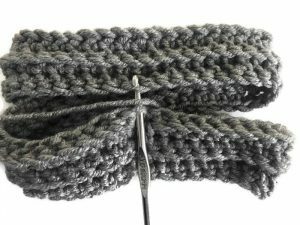 We begin in the top of seam which should now be inside out. 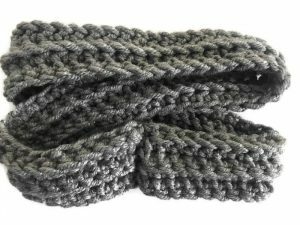 This new seam we go around with, will be another raised row on the outside of the headband. Note: you are holding the two sides together like an “=” sign; and going through the two at once, sandwiching them together. 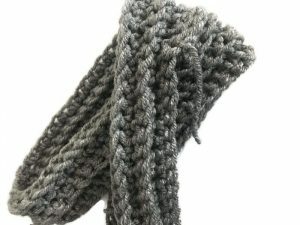 One side will be a back side of the fsc row sts and the other will be the top of a regular sc stitched row, you can spot the two loops on the regular row. 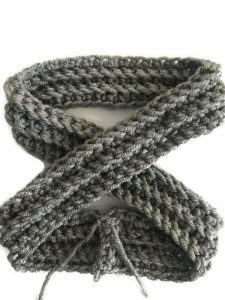 (*when going through the regular row, go through blo – this makes the seam less crisp working through 2 loops vs all 3 from both sides together). With back side facing. Flip so unfinished/ opened side is on the left now & rejoin at seam again in center of back then repeat above method for closing up this 2nd side. (18 sts acr for kids/ 16 sts acr for adult). 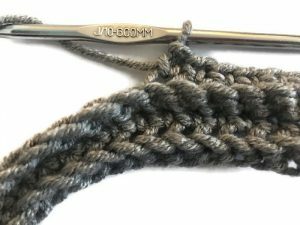 *note: since the adult headband is wider, having less stitches allows for the criss cross “x” in the front to fit through better. At end, ch1 & cut leaving enough tail for weaving in. Pull end tightly to secure. 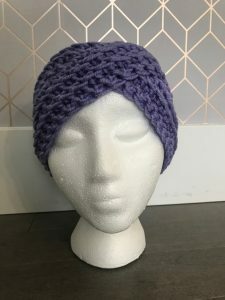 Turn headband inside out and weave in any remaining tails, i like to use a smaller crochet hook and pull them through minimum 5 sts acr of nearby row. 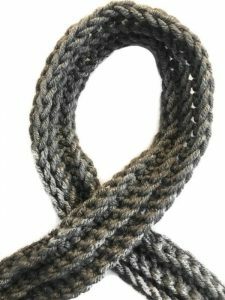 *if you have two tails near your back-side seam, knot them together and weave in from inside. 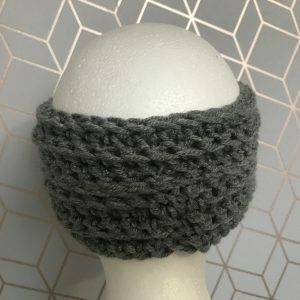 Turn headband right side out again and tada! Your ready to wear & enjoy! 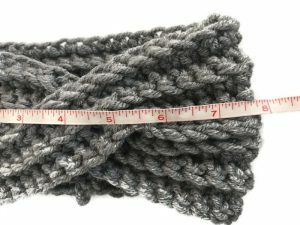 Roughly 8” acr (unstretched) – fits 20-22.5” head circumference worn. Any questions don’t hesitate to ask!! Feel free to tag us in your worn pictures @hadleypaigedesigns or use #hadleypaigedesigns if you’d like to be featured! 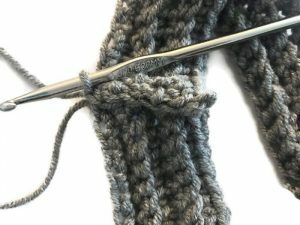 Thanks for trying out my pattern! I hope you enjoy as much as i do!